Villeroy & Boch Tableware is a growing brand in Britain and the European based company have evolved over the past 5 years, now tailoring their products to the traditional, modern and eclectic home. Tableware from Villeroy & Boch is made to the highest of quality and each piece has been carefully thought out to offer maximum functionality. 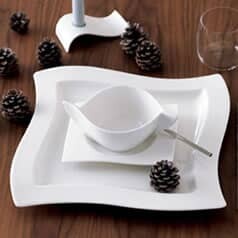 At eCookshop.co.uk we have one of the largest Villeroy & Boch collections of any British stockist online. We stock the company's French Garden, Pi Carre, Switch 3, Twist Alea, Twist White, New Wave, Flow, New Wave Caffe, Caffe Club Uni, Cera, Dune Lines, Urban Nature and Modern Grace collections, many of which we run with special offers, with big savings off the RRP. We also stock Villeroy & Boch glassware, including Maxima, Maxima Decorated, Miss Desiree, New Wave, Boston, La Divina and Modern Grace collections. All glassware from this brand is crafted to the highest of quality and will last for years, adding a touch of class to any dinner table. We work hard to ensure that we always stock the very latest products and collections from Villeroy & Boch. Shop online today or visit our department store to get a feel for these quality products in the flesh. 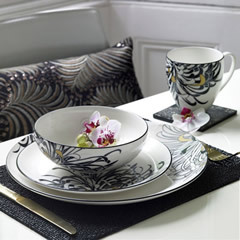 Tableware by Villeroy & Boch from eCookshop.co.uk is ideal for practically any home. The French Garden collection is the most popular pattern in casual tableware, with fruit prints and traditional patterns which make them popular within traditional homes. The Flow collection is the complete opposite, with evocative and modern designs across the range, such as pointed dinner plates and free floating bowls. Also extremely popular is the Switch 3 range, a blue and white collection that's as stunning as it is well made. Villeroy & Boch are one of Europe's leading tableware producers, who also design and manufacture a stunning range of kitchenware. Their products are designed for both traditional and modern homes and the company have a reputation for innovation, and creating unique pieces that are functional yet evocative. Discover and browse our collection today. For more information about any of our products, simply contact us for more information. Villeroy and Boch has been producing fine ceramics since its inception in 1748. Headquartered in Germany, the brand has become synonymous with high quality and durable products. As well as wellness and bathroom products, Villeroy and Boch tableware is also a household name across Europe. They have a large selection of tableware, including glasses and Villeroy and Boch cutlery. 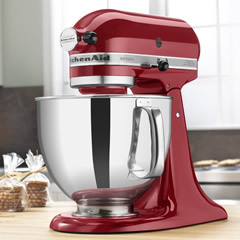 ECookShop is the official website of Dawson's Department Store. 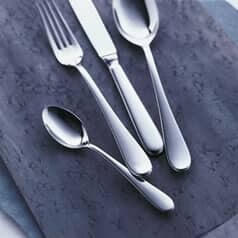 We offer competitive rates on a full range of Villeroy & Boch glasses, tableware, and cutlery. What's more, we offer free delivery on orders of Villeroy and Boch to UK address for those customers that spend over �50 on our website. If you have any questions, then don't hesitate to contact us. Either call us or call in to the store to ask any questions you might have. Alternatively, you can buy through our secure, online ordering system. Don't forget, if you spend more than �50, you will receive free delivery for your order. A beautiful dining set enables you to create a stunning dining room and centrepiece. The range produced by the company means that you can enjoy classical looking tableware, or contemporary and modern looking designs. You can also buy cutlery sets and glassware to accompany your new dining set. Villeroy and Boch tableware is fine porcelain sets consisting of plates, bowls, and even cups and saucers. From the clean and wavy patterns of the New Wave collection to the bestselling French Garden collection, you can buy the sets and tableware items that match your preferences. Choose the set you buy according to the number of place settings that you need, and the range and size of tableware items. Villeroy and Boch New Wave is a modern and contemporary looking design. Items are finished in a plain white, high quality and compelling hardwearing porcelain. This range won the "Award for Innovation" in Germany because some of the set pieces include handles that are constructed from the same porcelain as the body of the piece. As well as standard dining sets, you can also buy specific items with very specific uses. 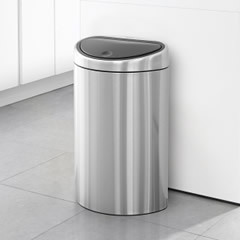 Items like the pasta plate, the grill plate, and the salad plate, for example, have been designed to make it easier to store and move these specific types of food. You can enjoy an attractive tableware set, hardwearing porcelain, and functional dining set items. Inspired by the gentle lines of a blossom and incorporate the colours of a traditional French print. This is Villeroy and Boch's bestselling tableware set. Round and square plates, bowls, soup cups, coffee cups, and creamers are some of the tableware items available. 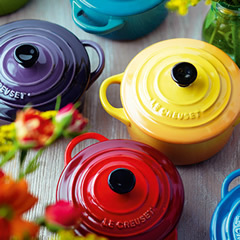 Specific items like serving bowls and plates, as well as kitchenware items like colanders, kettles, and spice jars make up the rest of the French Garden set. 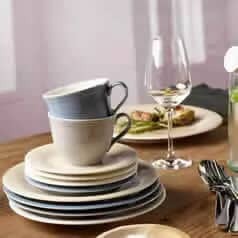 Villeroy & Boch glasses form part of the dining and lifestyle sets available from this incredibly popular homeware manufacturer. As well as wine glasses and juice glasses, there are martini, champagne, and whisky tumblers. As with the tableware collections, you can choose between traditional and contemporary styles, and you can benefit from our free delivery offer. Spend more than �50 and receive your Villeroy & Boch UK order delivered to your home completely free of charge. The Maxima range of glassware is a range of goblet style glasses that will complement any dining set. 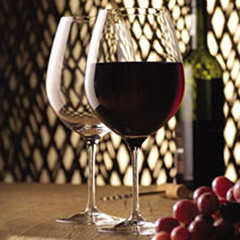 White wine, burgundy, and Bordeaux goblets are joined by champagne flutes and Martini tumblers. As with all Villeroy & Boch items, you can expect hardwearing and durable items that won't break easily. The diamond cut Boston glassware set is dishwasher safe and the rustic design is perfectly complimented by the honeycomb design that's stretches the entire surface. Clear crystal designs, as well as red crystal glasses, tumblers, and bowls are available as part of the Boston set. 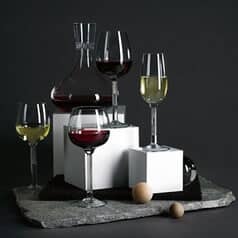 As well as glasses for red and white wine, and water, this set also includes bowls and beer glasses so that you can provide beautiful looking and functional glasses for all occasions. 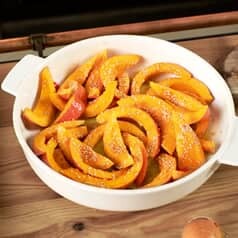 As well as being renowned for the production of high quality ceramic crockery, Villeroy and Boch also put their extensive metalworking experience to use by creating clean looking, attractive cutlery. Many of the sets are dishwasher safe, and there are sets that are ideal for one, or as a replacement, as well as sets for 10 or more people. The Villeroy And Boch Arthur set is a clean and traditional looking cutlery set. It includes dinner knives, dinner forks, tea spoons, and spoons. It is dishwasher safe and this set has a shiny finish. Sets range from four piece sets to 68 piece sets. 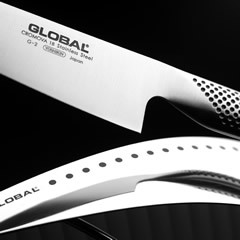 The 68 piece Mademoiselle cutlery set not only includes knives and forks, teaspoons and spoons, but also pastry forks, a cream spoon, meat fork, salad serving sets, a serving spoon, ladle, pie slice, and a sugar spoon; everything you need in order to provide a complete dining and serving experience. This is just one set size, and all the Arthur cutlery items are completely dishwasher safe, and made from durable and tough stainless steel. 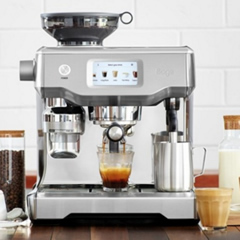 ECookShop is the official website of Dawson's Department Store. We sell everything from pans to cook food in, to the plates that you eat off, and the cutlery that you use. We stock sets and individual items from major manufacturers like Villeroy and Boch, Miele, and many others. We also provide free delivery on all orders over �50. Buy great looking and functional dinnerware for your home. If you have any questions about individual items that we have for sale, give us a call to speak to one of the team. 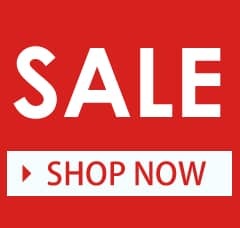 Alternatively, you can buy directly from our secure online shopping system, or call in to Dawson's Department Store to see all of the items that we have on offer.